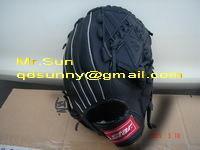 qdsunny@gmail.com baseball gloves color:balck yellow red bule material:pvc,pu,pig,second calss cowhide,top cowhide. 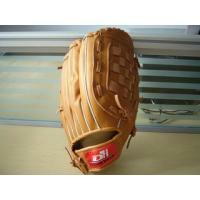 size:9 10 10.5 11 11.5 11.75 12 12.5 12.75 13 inch. 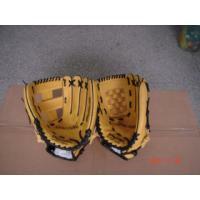 we produce all kinds of baseball gloves,softball gloves,batting gloves,catcher gloves,first base gloves. 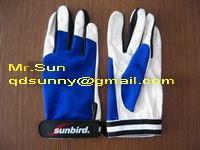 Our factory Qingdao Sunbird Sports was founded in 2001 as a specialized manufacturer and exporter for sporting goods in china. 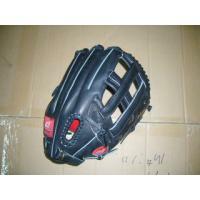 We mainly produce martial arts items（taekwondo,karate,boxing,judo）,baseball gloves，sport gloves and sporting goods. 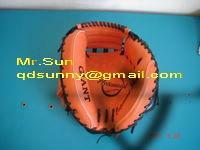 We are an export manufacturing company dealing with martial arts items,baseball gloves, sport gloves,protective equipments,taekwondo shoes,martial arts mats,fitness gloves,golf gloves, martial arts uniforms and many sporting goods. 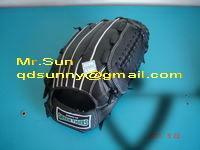 We have supplied the large products for Martial Arts and Baseball Gloves to North America and Europe for 10 years. We think you may also have interest it.You can get more information by visiting our website. 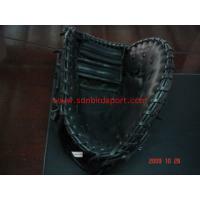 We'd love to send you our catalogue and price list.Also you may send us your inquiry or sample, so that we can study it carefully and give our suggestion and sample for you approval . OEM orders are always welcome, and if you have any questions, please feel free to contact us at any time,then we will do not hesitate to contact you immediately. We wish you who surfed our website all successful and prosperous in your business.